A former office building in the heart of west Soho has been transformed into the Z Tottenham Court Road which, in keeping with the Z hotels brand, keeps costs low and rooms small. Trading in affordable accommodation, the 121-room budget hotel offers rooms in central London for less than £100 a night. If you're on a really tight budget - and don't mind a windowless room - go for an internal double and you'll have five pounds in your pocket (the saving on the next size up). What you can count on are comfortable beds, air conditioning, an en-suite shower with complimentary toiletries, smart TV with games, apps and the complete Sky package including all sports and movie channels as well as free Wi-Fi and complimentary cheese and wine between 5 and 8pm every evening in the Z Cafe. 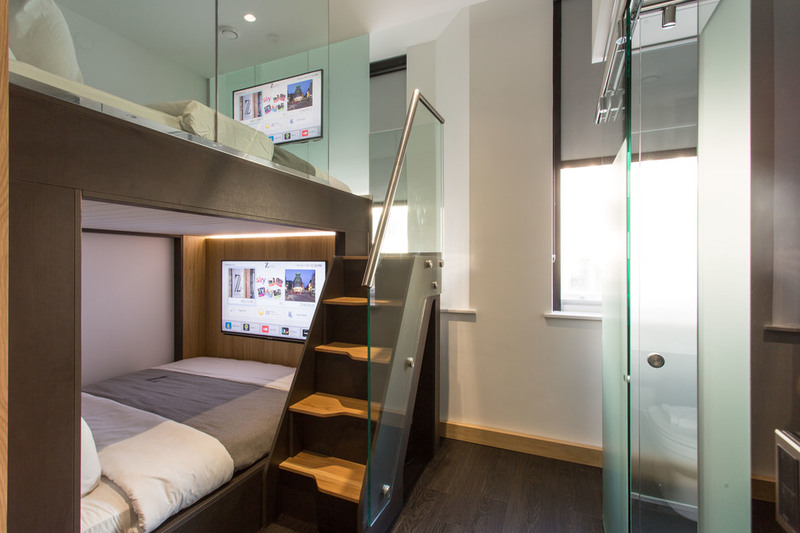 This eight-floor Z hotel in Poland Street, a couple of minutes walk from Tottenham Court Road's Crossrail Station, is the first of two Z hotels to open in central London in summer 2018; it's followed by Z Covent Garden - joining the Z Soho nearby and Z Piccadilly, a short tube ride away. Are you booking for a group of people? If you are making a booking for a group of people and require over 10 rooms, you may prefer to speak to the Group Booking Department for Z Tottenham Court Road bookings. Special deals can be arranged for groups, including discounts and arrangements for adjacent and inter connecting rooms if required. Call the Groups Reservations Department on 020 7292 2307. The best way to book a group deal is to complete the online form for group reservations at Z Tottenham Court Road. What are the best dining options near Z Tottenham Court Road London? Z Tottenham Court Road gyms, sporting activities, health & beauty and fitness. The best pubs near London Z Tottenham Court Road. Z Tottenham Court Road clubs, bars, cabaret nights, casinos and interesting nightlife. Where to have your meeting, conference, exhibition, private dining or training course near Z Tottenham Court Road. From cheap budget places to stay to luxury 5 star hotels see our discounts for Z Tottenham Court Road hotels, including The Courthouse Hotel from 93% off.